Ten55 Brewing and Sausage House is the latest restaurant to open downtown, at 110 E. Congress St.
From left, the Xoxo Coffee Stout, and the Gran Fondo amber ale, both $6. Forbes Meat Company sausage case at Ten55, where you can order sausage by the pound. This is the final pronouncement! Downtown Tucson has officially entered its millennial phase of adulthood; and I can tell by the succulents. What was once a forlorn corner of Congress and Scott — home to a rotating assortment of nightclubs and the dusty remains of a 24-hour diner (RIP Grill) — now sports a German beer hall with painted signs by Modern Aquarian lettering. The Ten55 space is unrecognizable from its former days as Vaudeville nightclub. The dark clubby cavern has been transformed into an open-air brewery, with exposed brick walls and woodsy browns punctuating the space. The sophisticated vibe is a great face for Ten55, which is the second industrial park brewery to open up downtown this summer. While the new Iron John's is a destination for craft beer enthusiasts, Ten55 has an approachable atmosphere with a hearty food menu that practically screams "dinner and a show." 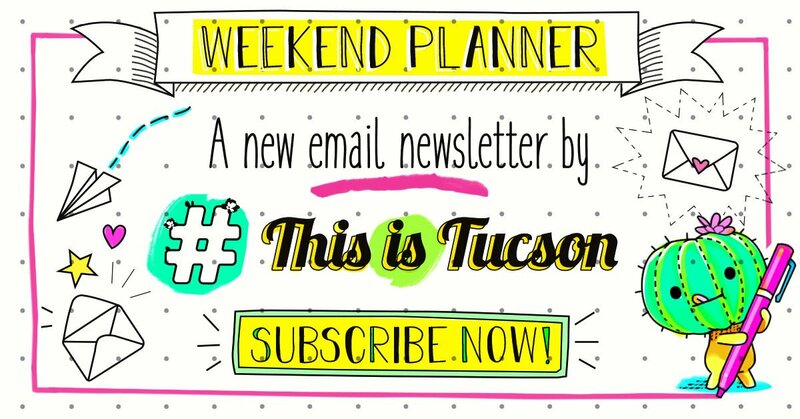 If my first couple visits are any indication, Ten55 is exactly what downtown Tucson needs right now: a heavy hitter venue with solid food options that still manages to keep its Tucson flair. While it would be easy to cut corners, Ten55's menu is all about "local," with sausages from Forbes Meat Company and bread from Barrio Bread and the east-side's Viro's Italian Bakery. Beer-centric desserts are provided by Emily Peterson of Beer Geek Bakery. The restaurant seems to be an important account for the local butcher Ben Forbes, who recently did away with his Forbes Meat Company retail space at Rincon Market (now owned by Time Market). Forbes prepares the sausages offsite and sells them in a small meat counter next to Ten55's kitchen area. We didn't buy any raw sausages on this visit, but we did get to taste a few of lunch items. If you're into sausages, this is fun! The menu has nearly 20 different types, including venison, bison, chicken and even "plant-based" sausages. I visited with a coworker last week and split the sweet Italian as well as the bison Hatch green chile with roasted corn. You're able to choose your own toppings, or just get what the chef Ivor Cryderman recommends. Both options were solid; I preferred the spicy bison sausage to the mellow Italian sausage, but the grilled peppers and onions made it worth eating for sure. The sausages themselves are delicate and flavorful, but I have to say that the taste was obscured by the hefty bun from Viro's. The bread itself was excellent, but the bun-to-sausage ratio can use a little working out. Ten55 also has a small list of appetizers and a couple salads including the Southwest Cobb that looked really tasty from a table away. My coworker and I decided to get the daily special salad, which was more like a cheese plate with a milky bulb of fresh burrata atop grilled tomatoes and cubes of Japanese watermelon. I'm going to use my power right now and say "please put this on the regular menu." It was delicious! But then again, I just love cheese, especially when there's beer involved. Speaking of cheese, Ten55 also has a grilled cheese sandwich on the menu as well as a rotating grilled cheese of the week, all made with Barrio Bread. During our visit, the special had pulled pork and Hatch chiles in it. Oh my. This was one of the best grilled cheese sandwiches I've had in recent memory. As for the beers, I've gotten to try most of them at this point and my clear favorite is the Two Sons Double IPA, which is on the hoppier side and not overly rich like some double IPA's are. I also enjoyed the Xoxo Coffee Stout brewed with locally-roasted Exo coffee. Ten55 also has a small selection of German and Belgian beers that might be hard to find on tap, including everyone's favorite pink elephant baby Delirium Tremens. Ten55 Brewing and Sausage House is at 110 E. Congress St. Phone: 520-777-7877. Hours: 11 a.m. to midnight Monday-Saturday, and 9 a.m. to 9 p.m. Sunday. You can find some of the best Thai, Mexican, Chinese food and more in these unassuming storefronts. The burger chain is opening in Scottsdale next year. Midwest fast-food burger chain makes its first bold move west of St. Louis.